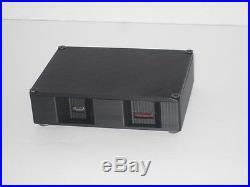 This is an external SCSI Hard Drive Emulator for an Ensoniq ASR-10, ASR-10R (rack), and ASR-88. Think of it as a Solid State Hard Drive, or SCSI Card Reader/Writer. It uses a 8GB micro-SD Card for memory. This package includes the external enclosure with a SCSI Hard Drive Emulator Board and HD50 SCSI connector, 8GB formatted micro-SD card, a 6' HD50 to DB25 SCSI cable, external power supply, a 6' USB to micro USB cable, ASR-10 SCSI Manual. Pdf (emailed to you), and my "ASR-10 SCSI Emulator Guide". Everything you need is included! I have setup directories and sub-directories, and saved 3316 Ensoniq sounds to the 8GB micro SD card. You will receive documentation to show you how to navigate the directories. There is approximately 5GB of storage space left to save your own sounds, banks, songs, and files. I have "configured" the Emulator Board for an ASR-10. 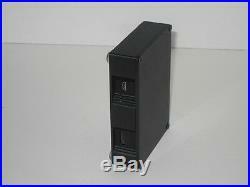 Its set-up as 4 SCSI ID#'s with 2GB for each ID#, total of 8GB of storage. 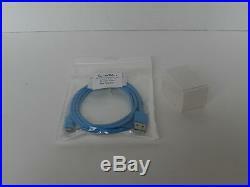 You can re-configure it if you want, with the included USB to micro USB cable. The Emulator Board is "hot-swap", so you can change the 8GB micro-SD card without powering down the ASR-10. The SCSI Emulator Board has no moving parts like a SCSI Hard Drive, so it's completely silent and should last forever. I use this Hard Drive Emulator with my ASR-10's and it works perfect. The SCSI Emulator Board has active termination and the SCSI ID#'s are set to ID# 0, 1, 2, and 5.. 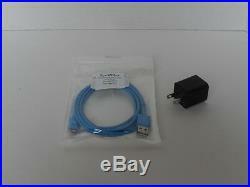 I will change the SCSI ID#'s if you want different ID#'s, let me know before the package ships. Each 2GB partition of the 8GB micro-SD card has been formatted in the Ensoniq format, OS 3.53 copied to the card, and the directories set-up. You can Boot the ASR-10 from the Emulator, load and save your samples, sequences, etc, at SCSI speed. SCSI ID#'s; Every SCSI device in a SCSI chain must be set to a different ID#. Ensoniq's internal SCSI ID# is 3. I set-up the SCSI ID#'s as ID# 0, 1, 2, and 5. ID# 4 is best if you use a SCSI CD-ROM drive with the ASR-10. 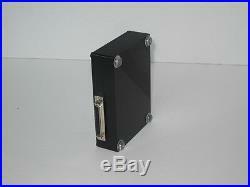 I left SCSI ID# 6 available, in case you use a Zip drive. The included external 5V USB power supply is the US, UK, UE, or AU wall style adapter, but will work in any country in the world. 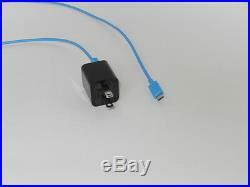 Its a switching adapter that uses 100-240V, 50-60 Hz. SCSI Cables; The SCSI connector on an ASR-10 is DB25. The SCSI connector on the Emulator is a HD50. If you are going to use the Emulator at the end on a SCSI Chain, you might need a different SCSI cable. I have several in stock and will substitute the one you need if I have it. 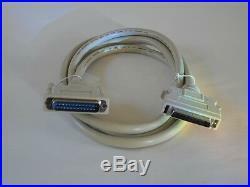 I currently have 6 ft HD50 to HD50 SCSI cables and 2.5 ft CN50 to DB25 cables. 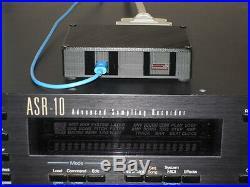 This item is only for the ASR-10, ASR-10R, and ASR-88. I will have it available for the EPS-16 Plus and ASR-X soon. The ASR-10R in the picture is not included! 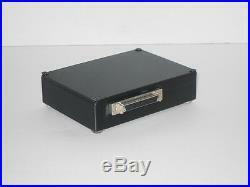 The item "Ensoniq ASR-10 SCSI Hard Drive Emulator, 3316 sounds in directories, 4 SCSI ID#'s" is in sale since Thursday, April 11, 2019. 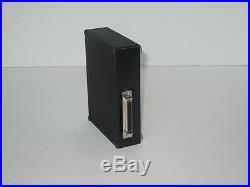 This item is in the category "Musical Instruments & Gear\Pianos, Keyboards & Organs\Electronic Keyboards". 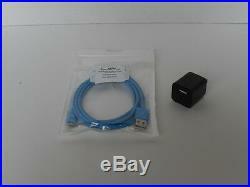 The seller is "synthplus" and is located in Merritt Island, Florida. This item can be shipped worldwide.